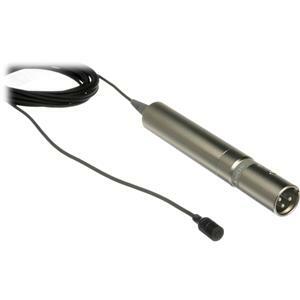 Quantity:3 ;Ultra Portable solid-state audio recorder. More info here. Quantity: 6; Ultra Portable solid-state audio recorder. More info here. 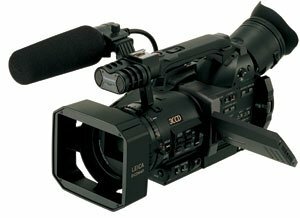 The AG-DVX100B is the most recent version of the Panasonic 24-frame standard definition video camera. When initially introduced, the AG-DVX100 (pre-A model) was the first small video camcorder to offer film-like 24-frame per second recording. High-end shoulder mount cameras offer film-speed recording, but operating these cameras requires a large production crew and oodles of money. The next model, the AG-DVX100A added more gamma correction and other cine’ picture-look settings than the first model. The AG-DVX100B is the improved version of the “A” camera with some 20 new features like a higher resolution viewfinder, Scene Files and Time Code transfer through the FireWire cable, greater power efficiency with newly developed battery pack, more delicate zoom control and more. An all-black paint job on the new DVX-100B camera actually hides finger marks and smears and reduces reflection compared with the older silver bodied “A” model. This latest version also comes standard with Magic Bullet edit software and an instructional DVD production book.